SAN ANTONIO – In heavy rain in our forecast, we look forward to next weekend, when the weather should be sunny and warm. But first we have to go through this week. Tuesday has been relatively cool and dry, keeping more rain out of the ground. On Wednesday, the remains of hurricane Willa will come from West Mexico, meaning heavy rain in South Texas. We will then dry up and have a nice weekend ahead of us. 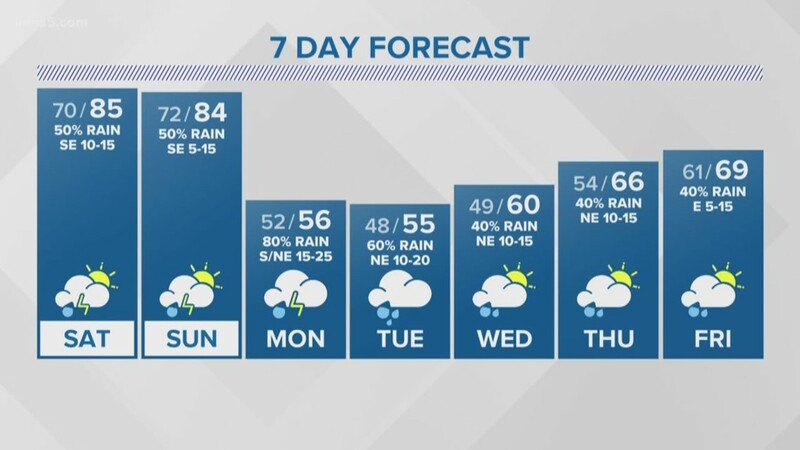 According to KENS 5 meteorologist Bill Taylor, there is a 100% chance of rain on Wednesday. Bexar County will probably see a fair bit of rain, but not enough to worry about flooding. At this time next week we could be clear when the sun returns and we could cope with foreseeable rain future.